"I can't believe this, I'm just a nobody," incoming President Rodrigo Duterte said as he cried hard like a child at his parents' tomb. 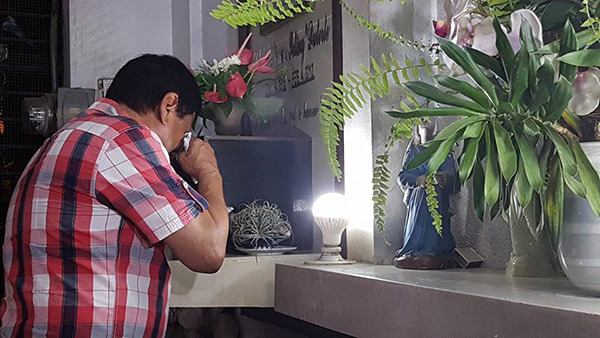 Journalist Edith Ging Caduaya posted photos showing Duterte visiting the grave of his late father, Davao Governor Vicente Duterte, and mother, school teacher Soledad Roa Duterte. "At 3 a.m. today, hours after partial election results showed he is leading. 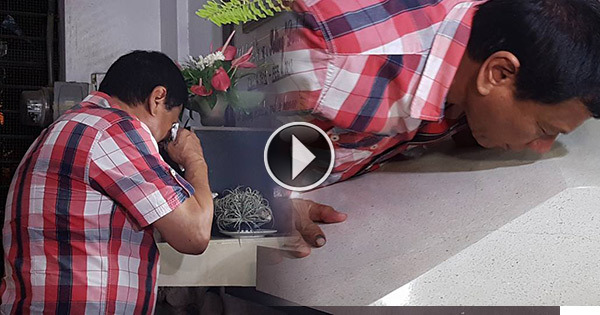 Presidential frontrunner Rodrigo Duterte broke into tears as he asked his parents to help him rule the country. "Tabangi ko [Help me] ma," Duterte called on his mother Soledad whom he missed so much. A confessed Mama"s boy, Duterte said he long wanted to cry aloud but was too busy for the campaign." 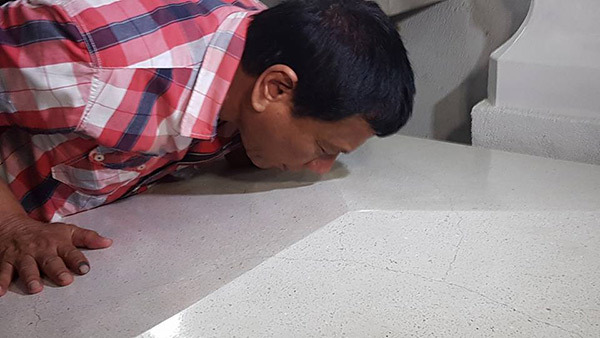 According to former North Cotabato governor Manny Piñol, Duterte's long-time friend and staunch supporter, Davao City journalist Stella Estremera reported that Duterte kissed and embraced the tombs of his parents and sought their help and guidance. "Dili ko katoo. Kinsa ra man ko [I can't believe this. Who am I? I'm just a nobody]," Duterte said as he cried during a visit to the Davao Public Cemetery where the remains of his parents are entombed, Estremera posted. Piñol said Duterte, who waged a national campaign with eager resources, has always visited the tomb of his parents before and after making very important decisions. In another Facebook post, Estremera said Duterte "was never the monster he was painted to be." After crying his heart out, Duterte "prepares to take on the heavy burden," she added.